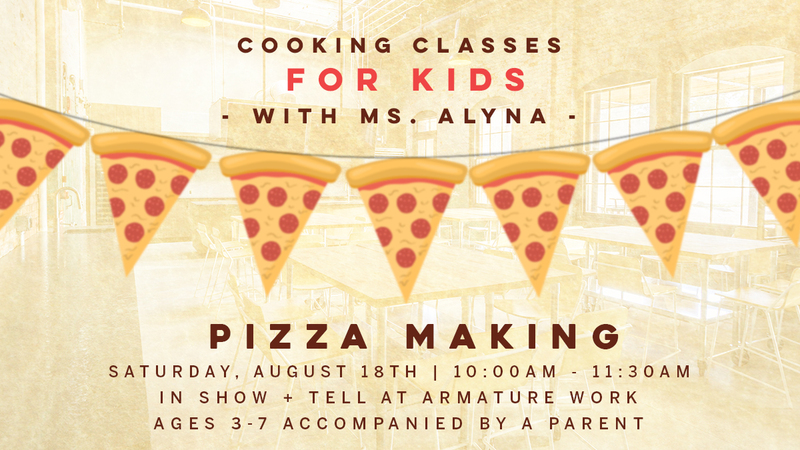 Join us for pizza making and an unforgettable experience for you and your little one to learn how to prepare and bake a pizza from start to finish. It all starts with the pizza dough, the little one will learn how to roll and shape it and add fresh tomato sauce. Then you’ll add the freshly grated mozzarella cheese, as well as any other ingredient you wish. Finally, we’ll bake the edible master piece in the oven while the little one decorates their own personal pizza box. In each class, kids get to try their hand at making seasonal recipes while learning basic culinary techniques such as mixing, measuring. Ages 3-7 accompanied by a parent.